While having breakfast at the Table Bay Hotel and enjoying our quiet spot outside, we noticed a burst of excitement on the pier. 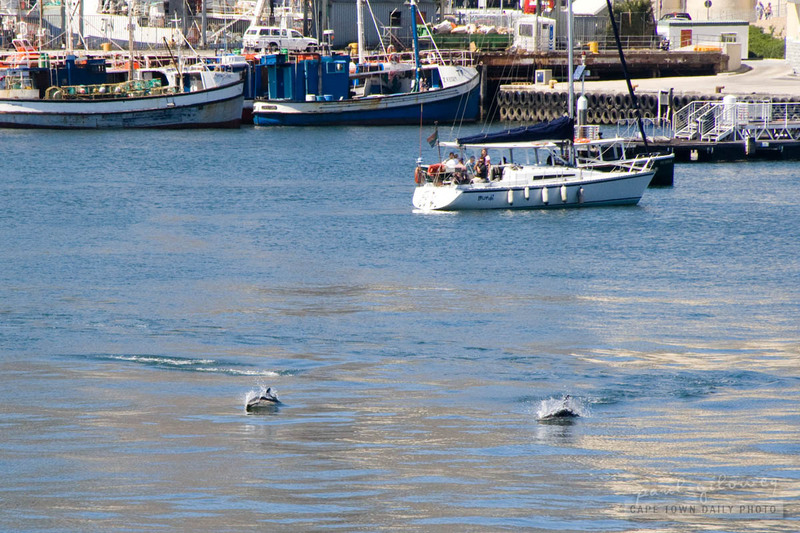 Gazing out towards Fish Quay, we spotted a small school of dolphins playing what seemed like a game of tag. Contrary to how it may appear, we don't actually spend that much time at the Waterfront, and while I'm not sure how common this sight is, it's certainly the first time either Kerry-Anne or I have seen dolphins in the harbour. Posted in General and tagged dolphins, fauna, sea on Tuesday, 8 February, 2011 by Paul.